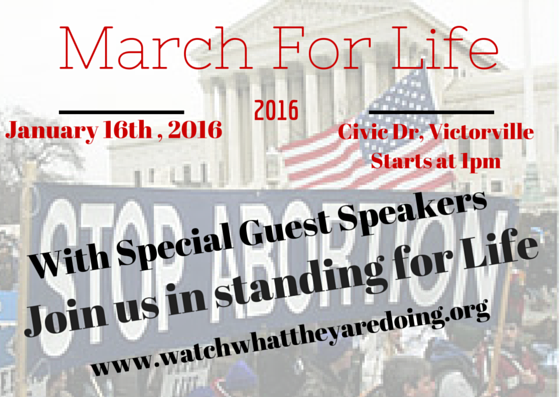 watchwhattheyaredoing | Helping to organize the fight to defend what is Right! What an incredible evening it was… congratulations to @ElonMusk for a successful launch and return landing at Vandenburg Air Force Base… It was soooo awesome..
well, it was a good turnout for the Third Annual Victorville March for Life. The speakers were all well received and were really able to drive home the message that “All Life is PRECIOUS”. Also, this year were a few vendors, such as St. Michaels Book Store, Women of Noble Cause and Stanton Mobile Ultrasound was on hand donating free ultrasounds to pregnant women. Stay tuned for full video re-cap to come. Please share with all you know….